Stress is a gross, hairy monster working its way through every office across the US. It's a major reason why so many organizations are loading up on health and wellness programs. These programs used to focus on physical health, but have taken a turn toward mental health recently. But what about financial health? Money, or the lack thereof, is the biggest source of stress, after all. No amount of yoga can help an employee cut down on $35,000 worth of student loans. A quiet office doesn’t silence the fear of not having enough money to cover bills. Meditation can help put a mind at ease, but it won't put any more money into the retirement account. A modern health and wellness effort must address financial health. But how? You can't always add more money to employee pockets through raises and salary bumps. You can approach the issue from another angle: your employee benefits. Consider these four options that will have a measureable impact on employee financial well-being - and thus their happiness, engagement and productivity. You can't keep giving everyone infinite raises, but you can help them keep more of the money they earn through an employee discount program. The key here is quality. 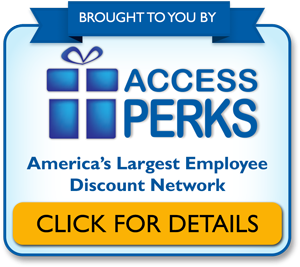 There are free employee discount programs, but they're built with public offers at online retailers. The vast majority of money, however, is spent in-store, locally, and on everyday needs. 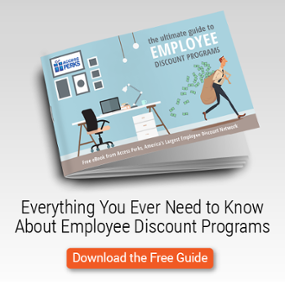 The more of those types of offers your discount program has, the more your employees will save. Odds are your company is offering a 401(k) account with some degree of matching. Which is great. But are you pushing investment and utilization enough? There are many studies showing correlations between retirement readiness and emotional well-being. Most people work for the paycheck, and those who are able to sock a bit away are naturally more comfortable. Fair or not, we're in an era where employee loyalty is seen as beneficial only to the employer. A retirement plan is one way to show concern for each employee's long-term outlook, even if the days of pensions and golden watches are gone. A bonus for retirement accounts is many of them will provide a benefits specialist who can work directly with your employees. Sometimes an outside professional can be more convincing than a fellow employee. This one falls under the category of "see a problem, offer a solution." Millennials (and Gen Z) are taking over the workplace and bringing a ton of student debt with them. Mixing in a student loan reimbursement program can attract a lot of young talent to your organization. Even a few hundred bucks per employee can cut months, if not years, off their repayment periods. Because it addresses such a glaring need to a specific audience, it's the kind of corporate perk that can make up for a lack of core compensation. It's important to work with your benefits partner to make sure there are several options for health benefits. Some employees may be fine on a high deductible plan, while others require a combination of a traditional plan and HSA to get the most bang for their buck. The key is taking the time to map out options and if possible, talk to each employee about their needs and goals. You may have noticed a recurring theme in these options. Namely, you already have some of these benefits. Instead of investing in something new and different, devote some time and budget to driving usage and awareness. An example: many health benefits brokers provide free prescription drug price comparison tools. A prescription for $100 at one pharmacy could be $20 a block down the road. Those are significant savings, but employees have to be reminded that these tools exist. You'll have to think like a marketer to get the word out, but rely on your benefits partner to assist you. There are a number of issues that are new to the working world. 50 years ago we all operated with a manufacturer's mindset, and employee stress was something they had to deal with on their own time. Today, we know that stress can harm any worker, whether they're performing manual labor or pure knowledge work. Too much stress results in lower productivity, higher absenteeism, underperformance, even workplace feuds. Whether it's the responsibility of the employer to help with stress can be argued. However, the benefits of stress mitigation are tangible and valuable. Helping employees control a major source of stress (finances) will have long-term benefits for your organization. And the best news is you already have many of the benefits you need at your disposal.